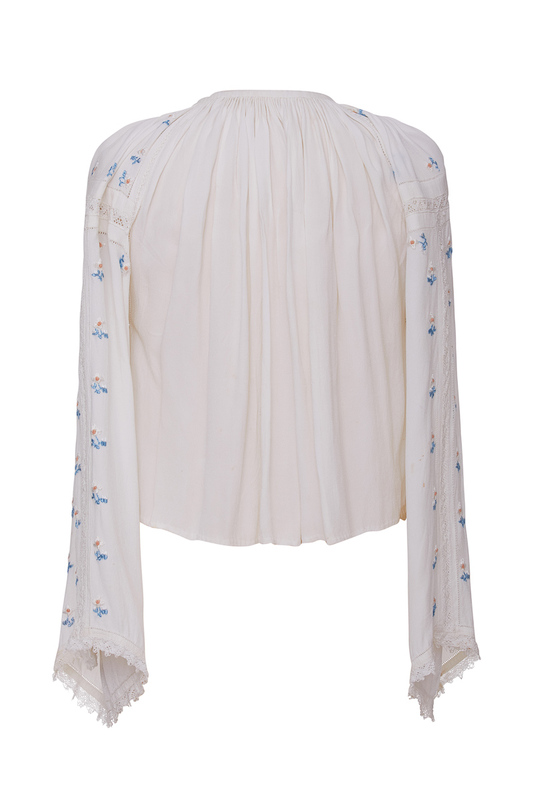 Midsummer night dream with the soft touch of handmade cloth,silk and needle cutwork made in the rythm of a beautiful love song. 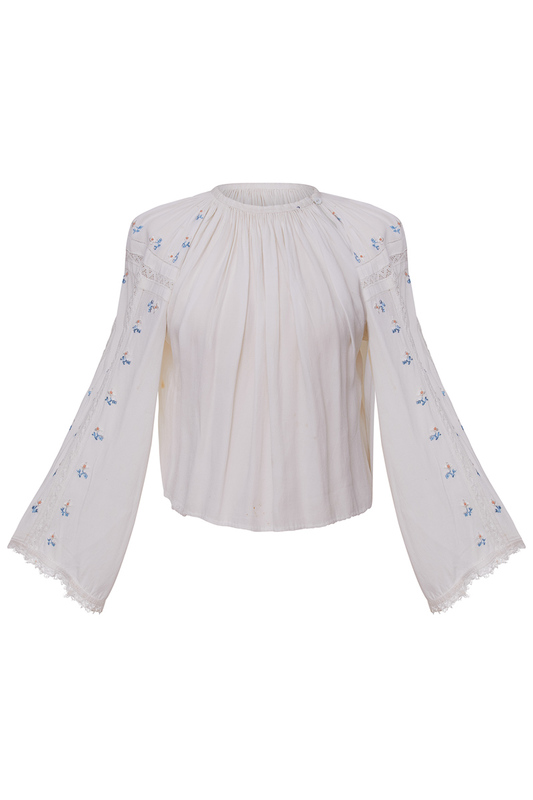 Unique romantic Vintage white blouse. 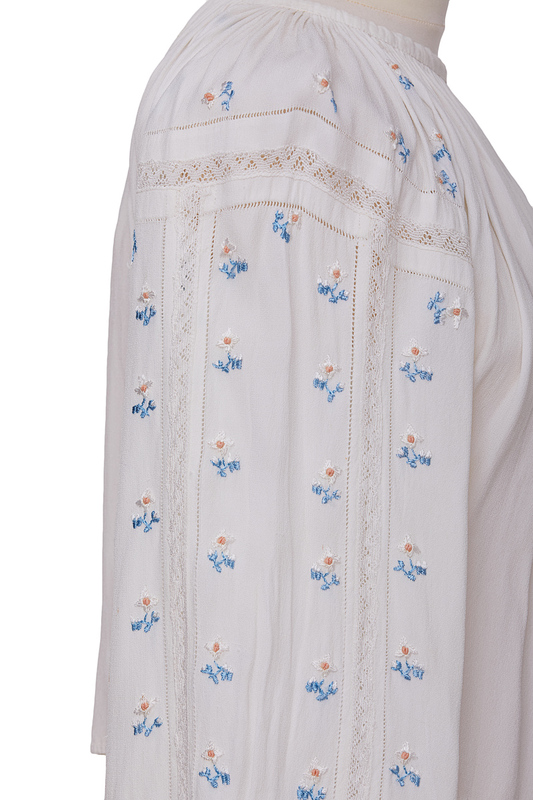 A romance in a cutwork coded by beautiful flowers sewn on antique silk.